Enjoying dancing, being healthy, fit and having a good body is not tied to age. Did you dance before and would you like to pick it up again? Have you never taken a ballet class but would like to experience this beautiful form of expression? It is never too late to enjoy ballet; an effective training combined with the pure pleasure of movement to music. 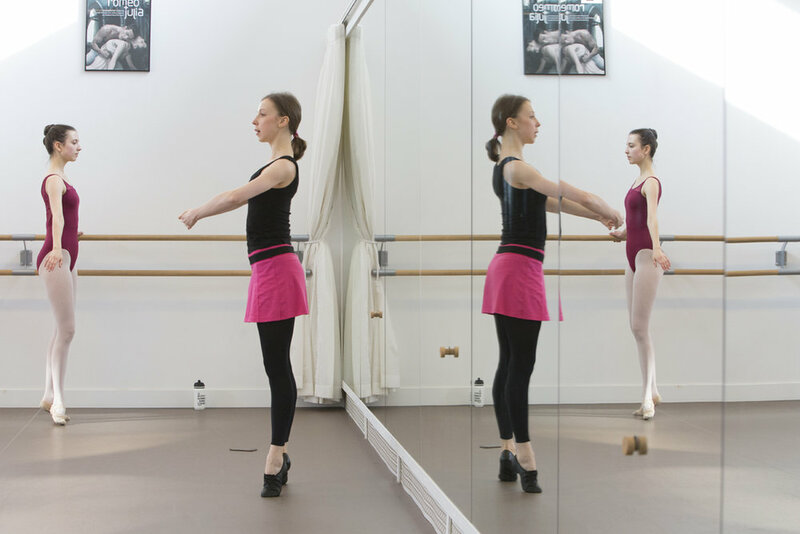 At this simplest ballet level, everyone is welcome who wants to learn to dance ballet and who has little or no prior experience. Perfect for absolute beginners. The pace is relatively low and there is a lot of time for explanation. The emphasis is on learning ballet terminology, basic positions and movements. This class mainly focuses on barre exercises, followed by some work at the centre and a few jumps at the end. The sequel to Beginners and the perfect choice also for those who have done ballet in the past and now want to pick up where left off and start dancing again. The focus is on exercises with only one hand on the barre, more movements in the centre and jumps as well as positions and more extensive terminology. This level is suitable for those who have some ballet experience. 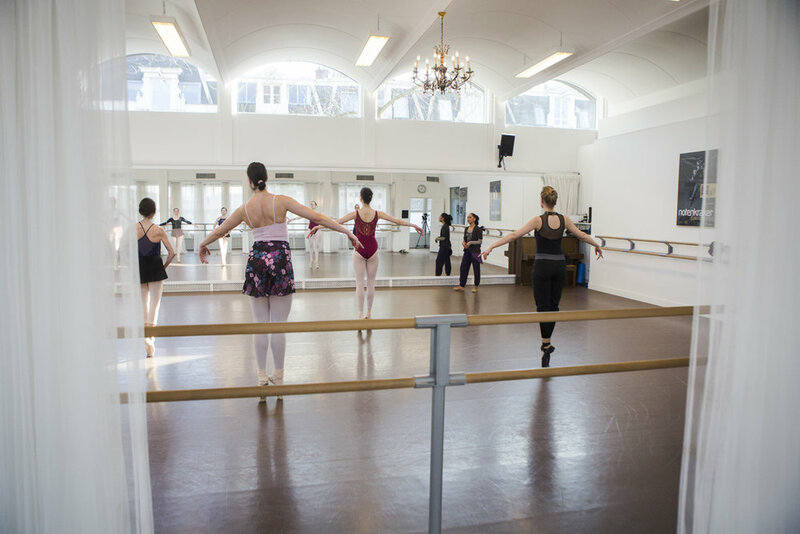 Exercises at the barre go almost to professional level and we practice all sorts of pirouettes, jumps, dance combinations and diagonals. The pace is pretty high, but there is always time to repeat exercises to correct mistakes and increase quality.